Food Blogga: Join Us for Fun, Food, and Farming at Olivewood Gardens with Chef Ann Cooper, "The Renegade Lunch Lady"
Join Us for Fun, Food, and Farming at Olivewood Gardens with Chef Ann Cooper, "The Renegade Lunch Lady"
Sugar pumpkins at Olivewood Gardens. Everyone is talking about school lunch reform and eating more healthfully -- First Lady, Michelle Obama, Jamie Oliver, Ann Cooper -- and Olivewood Gardens and Learning Center in San Diego is making it happen. Heirloom red corn at Olivewood Gardens. Olivewood Gardens in National City is dedicated to "reconnecting students and families to the natural environment through food, community engagement, and education." Each week, local school children visit the garden and learn important lessons about how food is grown and how to cook and eat more healthfully. Swiss chard at Olivewood Gardens. They are taught by dozens of committed volunteers, including San Diego chefs, food writers, master gardeners, and community members who teach, cook, and garden with the children. Home where cooking classes are taught at Olivewood Gardens. They need your help. October 1-3, is the 1st Annual Olivewood Gardens and Learning Center Fundraiser, created by San Diego chefs Julie Sayer Darling and Melissa Mayer. 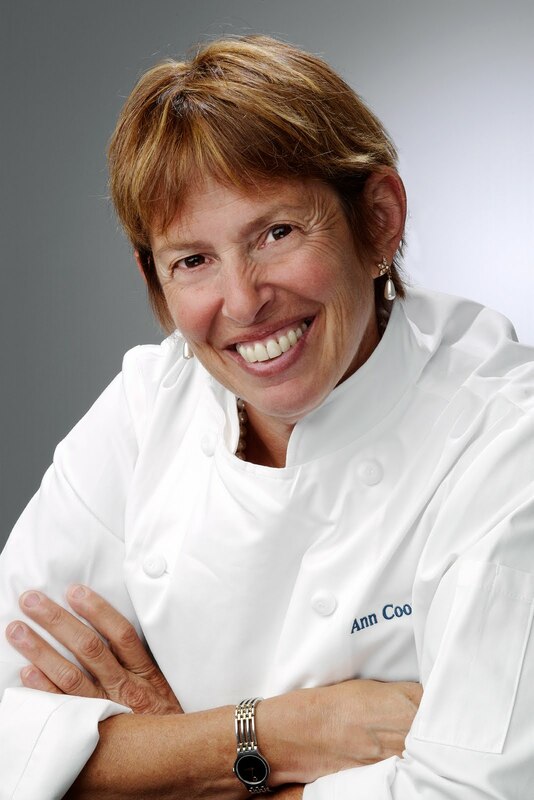 Nationally renown chef, author, and children’s nutrition advocate, Chef Ann Cooper, widely known as the “Renegade Lunch Lady,” will be the featured guest. Chef Ann has been featured on ABC News Nightline, CNBC, CNN, The Martha Stewart Show, and TED, and is committed to “changing the way we feed our children, one lunch at a time.” Now you can meet her in San Diego! Below are several exciting opportunities for schoolchildren, their families, and community members to get involved, talk with Chef Ann, and help promote children’s nutrition in San Diego. San Diegans will have the opportunity to engage in an inspiring discussion about how to make school lunches healthier for our children both nationally and here in San Diego. You don’t want to miss a chance to see this dynamic nationally recognized speaker. Tickets: $200 per person. Purchase online through Olivewood Gardens. Guests may also RSVP: 619.336-2253 / amyc@icfdn.org. 80 guests will enjoy an exclusive dinner under the stars with Chef Ann Cooper on the beautiful grounds of Olivewood Gardens and Learning Center. Guest San Diego chefs and mixologist, Ron Oliver of The Marine Room, will create a sumptuous, organic champagne reception and 5-course dinner. All organic produce will be donated by Suzie’s Farm. A silent auction with choice items will take place throughout the evening with proceeds benefiting Olivewood Gardens. Chefs include: Amy DiBiase of Cosmopolitan Restaurant and Hotel, Flor Franco of Indulge Catering, Katie Grebow of Cafe Chloe, Ricardo Heredia of Alchemy, Joe Manganelli of Cucina Urbana, Melissa Mayer of Suzie’s Farm, pastry chef Sara Polchynski, Rancho La Puerta, and Chad White of Roseville. Tickets: Adults, $50, kids 12 and under, $10. Purchase online through Olivewood Gardens. Guests may also RSVP: 619.336-2253 / amyc@icfdn.org. Families will enjoy fun, farming, and food at the Olivewood Gardens and Learning Center! Guests will tour edible gardens, learn about gardening and nutrition with hands-on activities, and eat freshly prepared local foods cooked by top San Diego chefs and food writers. And don’t forget your bathing suits and flip-flops! The pool will be open with a lifeguard on duty. A national television show will be filming the events that day too. Come and see who it is! I love the focus on healthy school lunches and this event sounds amazing. Best of luck-wish I could be there! Looks like anything grown at the Olivewood Gardens is going to turn into a delicious recipe! Gorgeous photos, thank you!